The Olympics are halfway over and alongside the extravagant opening ceremonies and record-breaking results, another hot topic continuously being talked about among athletes, viewers and media is social media and the pivotal role it has played so far during these games. 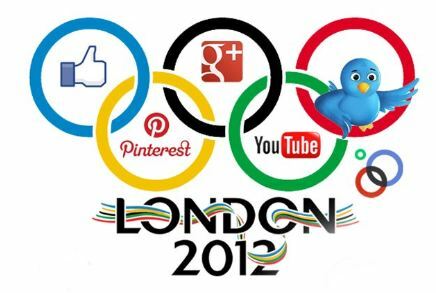 With over 15 million people currently following the Olympics via social media, this is by far the most social Olympics yet. It appears however, that this social behavior is taking the gold medal on the gossip podium—and unfortunately it’s not all positive. a. Starcount is a new website that shows currently who the most talked-about and trending athletes are on social media. b. The International Olympic Committee has teamed up with Facebook to create the Olympic Athletes’ Hub, a website dedicated to keeping fans updated on current happenings in London. While the personal touch of social media is great for some fans, for others it’s ruining the games by leaking the results in real-time, long BEFORE the broadcasts air on TV. Earlier this week, GPS and communication tools were failing during the road races which was possibly caused by too much social and online activity. Spectators were directed to Tweet only in cases of emergency to avoid any further interferences and outages. Overall security was potentially threatened due to pictures of badges, including entry barcode Tweeted by some athletes. Due to threatening comments and posts made on Twitter towards a British diver, one fan has already been arrested. Two athletes (a Greek triple-jumper and Swiss soccer player) were expelled from their teams and unable to compete in the games due to racist tweets. Social media has given the world a backstage pass to the Olympic Games, but it has also provided fans and athletes with a variety of new ways to get into trouble. Hopefully, all the delinquents have learned from their mistakes and the rest of the social world has learned from them as well. As professionals we need to remember that social media is publicly published content- just as other traditional forms of communication are and should be treated with the same care and professionalism, regardless of the context and situation. We should all learn from these experiences, focus on the advantages and benefits of social media and be thankful to be part of the connected social society that we live in today. What’s your opinion of how social media is shaping the Olympics? How do you think social media will change based on experiences from these games?